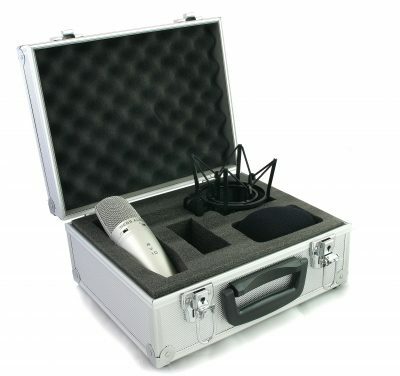 RV10 Multipattern Condenser Microphone with professional shockmount, windshield and locking aluminium carry case. 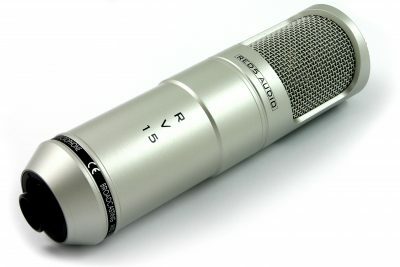 Fantastic, versatile “all-rounder” studio microphone covering a wide range of applications. See below for full details. 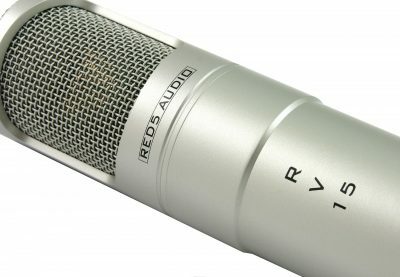 If you’re looking for a top-notch multipattern condenser mic that won’t break the bank, the RV10 is it! 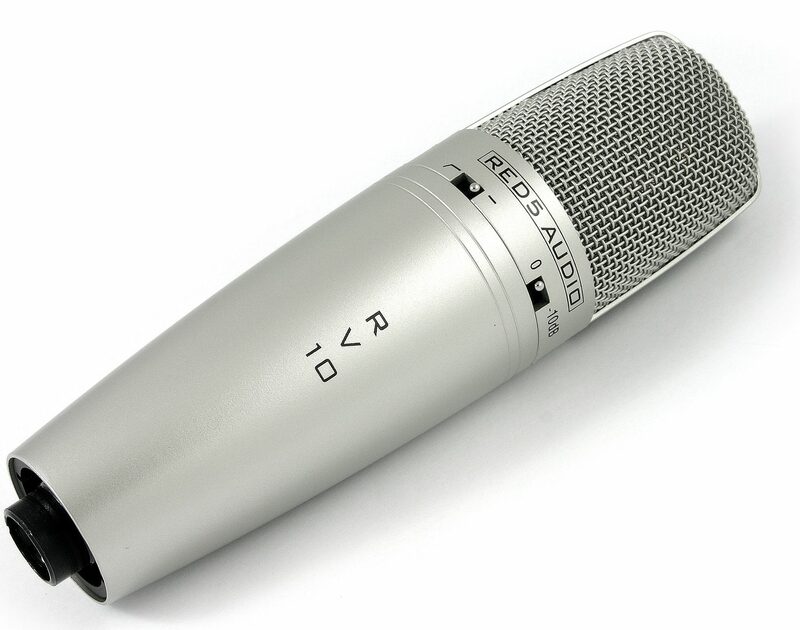 This highly versatile microphone is a valuable addition to any recording set-up. 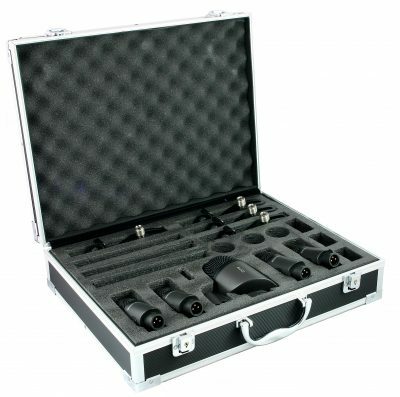 Featuring 3 polar patterns, bass roll-off and a -10db pad. Don’t be fooled by the price, the RV10 is a serious microphone only matched by similar products costing many times more. 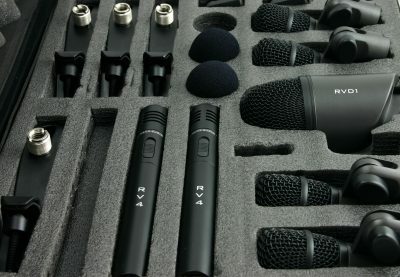 Its dual (3-micron) capsules deliver a truly professional sound that you’ll find flattering on a wide variety of sources. 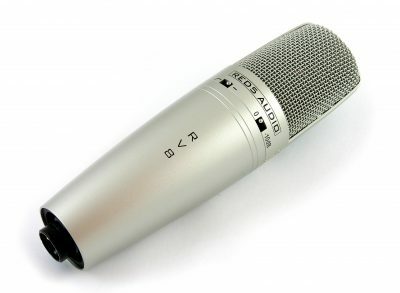 Why choose a multipattern condenser mic? Cardiod – captures sound in one direction. 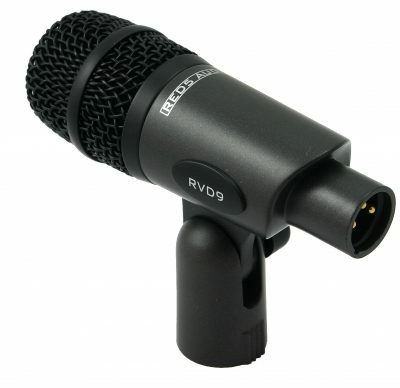 Perfect for applications like single vocals and acoustic instruments. 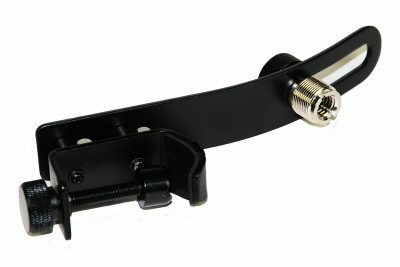 Figure-of-eight – captures sound in 2 directions (back and front). 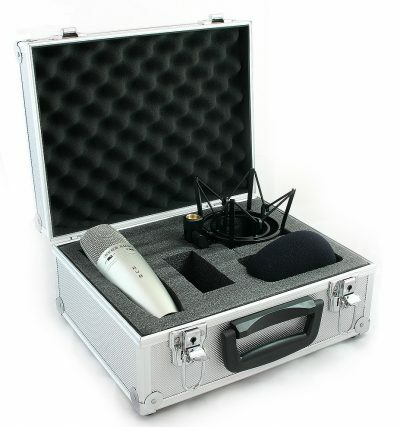 Perfect for vocals duets and capturing instrument and voice simultaneously. 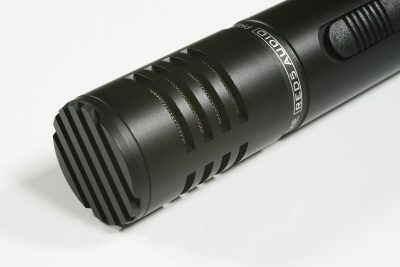 Omni – captures sound equally in all directions (360 degrees). 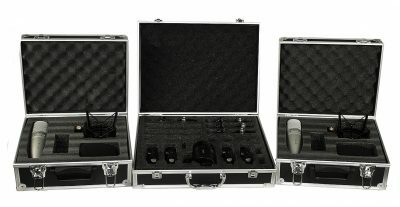 Perfect for groups vocals (eg, barbershop), ensembles and for capturing sound source and room sound. There are no hard and fast rules when it comes to what polar pattern to use when. Why not experiment? You might just get something completely different that sounds awesome in your mix! For a more detailed explanation of the polar patterns mentioned above, see this excellent article by SoundOnSound Magazine. Foam windshield and spare shock-mount elastic.